This offer is valid from Thursday, May 2 to Wednesday, May 8, 2019 online at rona.ca (for participating stores ) and in participating stores . Consumers save the taxes on purchases of 2 major appliances or more of the same brand (before taxes, on the same invoice). RONA will charge and remit any applicable tax and deduct an amount equivalent to the tax you will be charged from the item price so that your total purchase price will be equal to the item price. Applicable tax will be shown on your receipt. Prices shown do not reflect discount. Only purchases of products at regular price paid in cash, debit or credit card or by PayPal are eligible. This offer also applies on products being delivered and/or installed if delivery and/or installation charges are paid in full at time of purchase. Discount does not apply to services offered in store such as installation, delivery, rentals, cut-shop services, etc. Countertop microwaves, wine coolers, compact refrigerators, chest freezers, Whirlpool, Samsung products and LG, Maytag and KitchenAid washers and dryers are not eligible for this offer. RONA reserves the right to limit quantities of products purchased. While stocks last. Special order products, RONAdvantages incentives, purchases made with in-store accounts or purchases made by clients with specific contractual agreements executed with RONA are not eligible for this offer. Does not apply to previous purchases and layaways. Not convertible into cash. Cannot be combined with any other offer. Certain conditions apply. Details in participating stores . This offer is valid from Thursday, May 2 to Wednesday, May 8, 2019 online at rona.ca (for participating stores ) and in participating stores . Consumers save 15% on purchases of 2 major appliances or more of the same brand (before taxes, on the same invoice). Prices shown do not reflect discount. Only purchases of products at regular price paid in cash, debit or credit card or by PayPal are eligible. This offer also applies on products being delivered and/or installed if delivery and/or installation charges are paid in full at time of purchase. Discount does not apply to services offered in store such as installation, delivery, rentals, cut-shop services, etc. Countertop microwaves, wine coolers, compact refrigerators, chest freezers, Maytag, Samsung products and LG, Whirlpool and KitchenAid washers and dryers are not eligible for this offer. RONA reserves the right to limit quantities of products purchased. While stocks last. 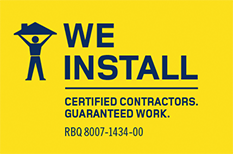 Special order products, RONAdvantages incentives, purchases made with in-store accounts or purchases made by clients with specific contractual agreements executed with RONA are not eligible for this offer. Does not apply to previous purchases and layaways. Not convertible into cash. Cannot be combined with any other offer. Certain conditions apply. Details in participating stores . New and Exclusive! Your best ally for lawn maintenance. Subscribe to the newsletter and get $10 off with a purchase of $50 or more. Pick up your order in store within 2 hours or have it delivered to your home! It’s quick and convenient! Discover the many benefits of our financing plans.